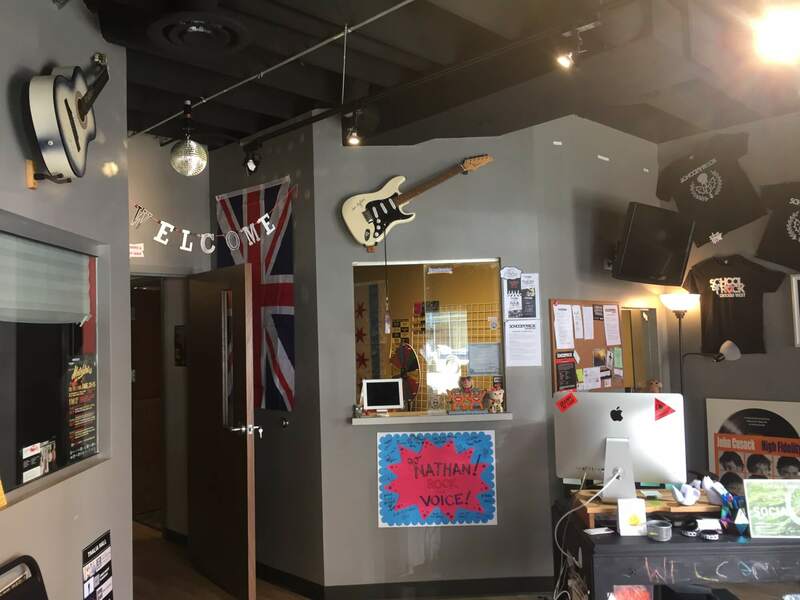 School of Rock Chicago West’s music teachers are experienced musicians devoted to helping students attain musical proficiency. 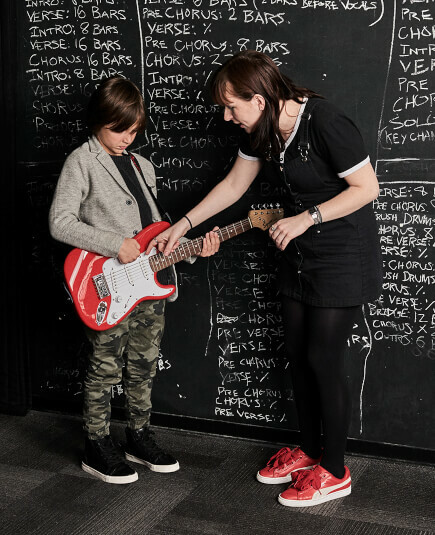 From singing to drums to guitar, our Chicago music instructors inspire and teach students to perform live. Miranda has eight years of experience working with children and teens to help them reach their goals! She is currently involved in Chicago's vibrant music scene and was awarded Outstanding Soloist at the Notre Dame Collegiate Jazz Festival in 2015. Most recently, she was named the Luminarts Jazz Fellow for 2017. 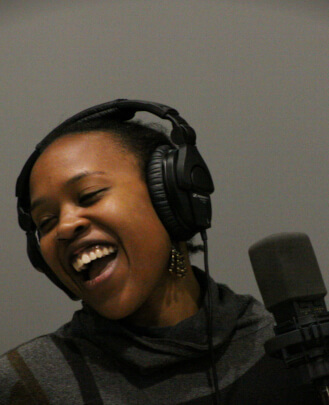 She has been featured in "Down Beat Magazine" as well as on WBEZ radio. 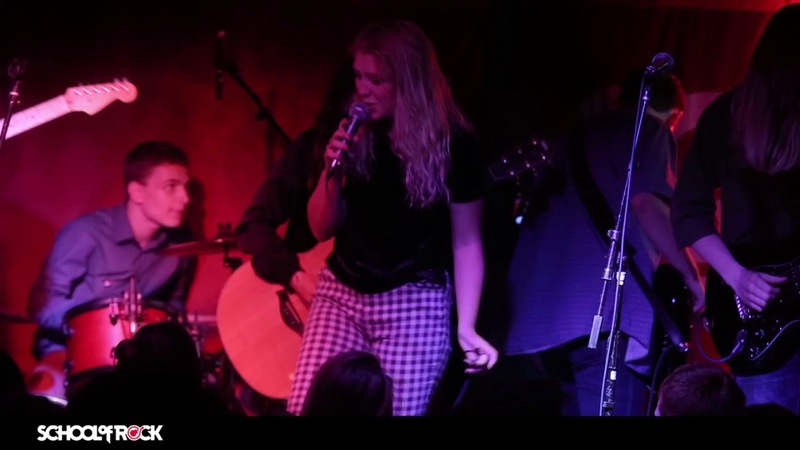 She has also featured as a background vocalist for local Chicago bands including Zoo, Elle Casazza, Dashtone and songwriter Zoie Moser. She possesses a tremendous amount of musical insight, knowledge and passion to share with her students to help them sing and play their best! 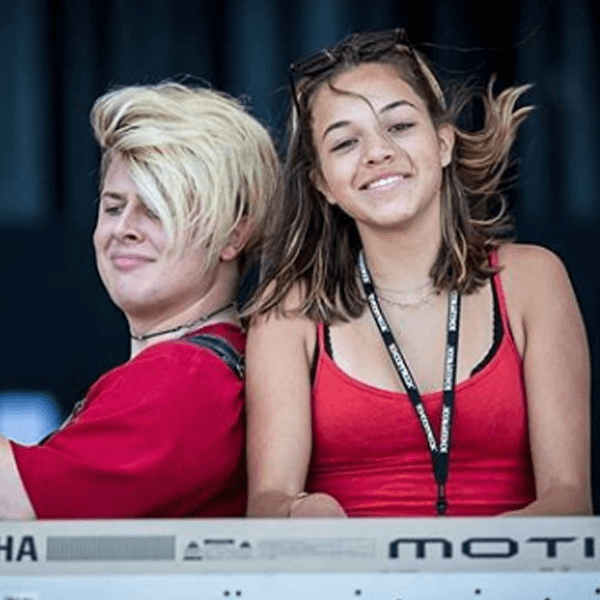 Maxx started piano lessons at the age of four (thanks to his mom), studying classical music until his teen years when he discovered rock n' roll. Rock led to blues, blues led to jazz, jazz led to funk and so on, giving Maxx a fascination with a wide array of musical traditions. 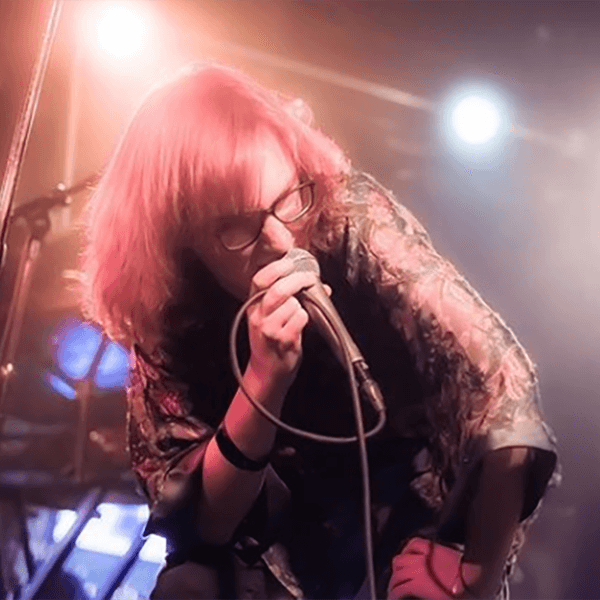 As the leader, main composer and keyboardist for the band Gramps The Vamp, Maxx brings his eclectic interests together into a project which has headlined Chicago venues like Lincoln Hall and Metro, has toured the country from coast to coast, and has gained Best New Band recognitions from "The Chicago Reader" and "Deli-Mag Chicago." 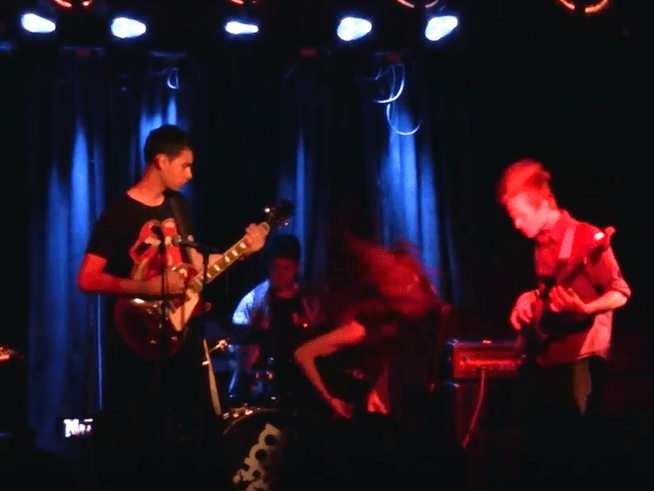 Maxx has also performed or recorded with the Chicago groups Secret Colours, Divino Niño and Maxx’s own Pip Pip. His festival appearances include SXSW, Austin Psych Fest and Ruido Fest, and his film composer credits include Demonoid (1971), a short horror film released in 2016. Maxx believes music is an adventure and wants to pass that excitement along to his students! As a third generation musician, Jeff Smith began his love for music at a very young age, starting drums in fourth grade. As a teenager he picked up the bass and spent all of his free time in his room learning to play songs from his favorite bands. Since then he has played in countless rock bands. He has since studied formally at Northeastern Illinois University and under Greg Sarchet of the Chicago Lyric Opera, deepening his musical understanding theoretically and practically. 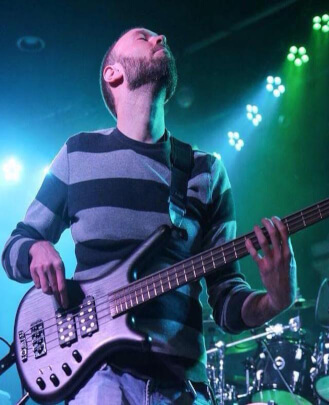 Although always a primal rocker at heart, as a bass player Jeff is fluent in many styles of music including rock, metal, funk, soul/r&b, jazz, classical and the sub-genres related to these styles. Jeff loves to teach students not only fundamental theories and concepts, but also how to really have fun playing! Jeff continues to perform all over Chicago in settings ranging from live rock performances, musical theatre, or his college jazz band and orchestra. Anthony is a life-long musician. 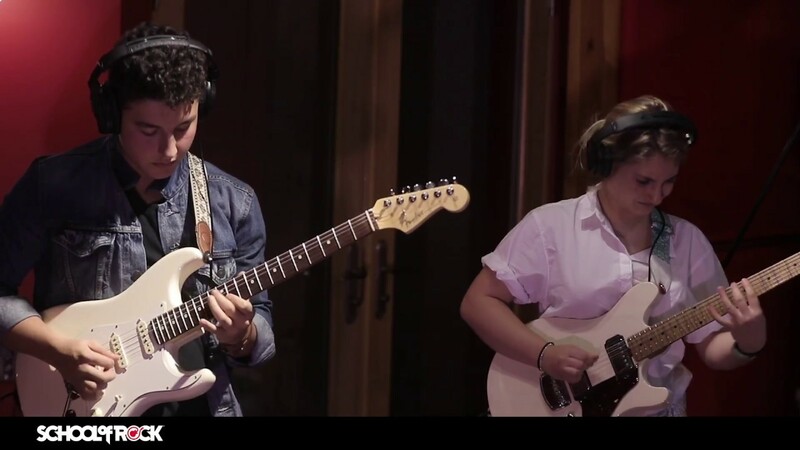 At the age of eight, he picked up a guitar and found his calling. In the last 13 years, he has also become an in-demand bassist, with a feature story in "Bass Guitar Magazine." He has been an active member of the Chicago music community for the last 25 years, playing with bands like Thirty Days, U.S., Drag, The High Grass Dogs, The Keith Scott Blues Band, The Last Vegas, Kevin Thista’s Red Terror, Dorian Taj and Rivals of the Peacemaker. 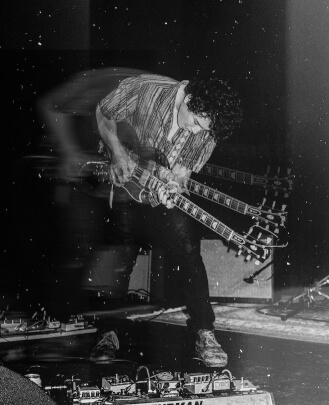 He has toured 17 countries, played thousands of gigs, recorded over 10 albums, played major festivals (Lollapalooza 2013, Eagle Rock Music Festival, Wing Ding) and even has a song on "Guitar Hero II." For the last 10 years he has been an instructor and show director at School of Rock Chicago West, loving every minute. Andrew Baranowski’s life-long love affair with the big beat began over 30 years ago when his Uncle Tommy asked the magical question, “You wanna see my drums?” After that, everything else became secondary. His formative years followed the traditional path of the school music program while taking private drum lessons with local pros. This naturally grew to greater ambitions. For over 20 years, Andrew has applied that early training to perform and record non-stop with Chicago’s stalwarts of rock, I Love Rich. 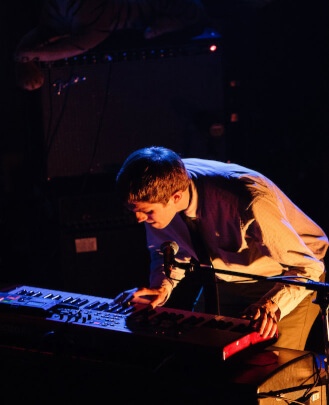 He also managed to find time to periodically gig with the London-based act Das Haus, and has recently been recruited by Hozac recording artist MAMA. Despite years of 2 am load-outs and carrying gear up endless flights of stairs, his passion for drumming only continues to grow. He finds great joy in helping the next generation realize their musical goals. His teaching philosophy encompasses three main points: building a strong technical foundation in which to draw from, playing a song versus playing the drums and understanding the drummer’s role in the greater context of any ensemble. 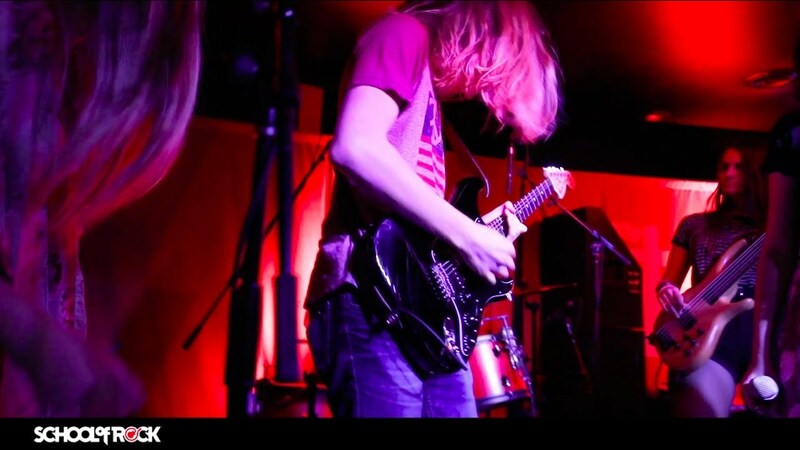 Joe is a graduate of Oberlin College's Conservatory of Music and has taught private lessons in bass, guitar, drums and piano for students ages 9-25 for over three years. 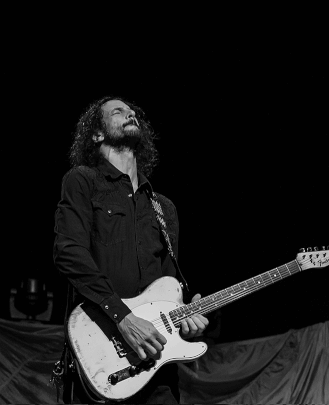 Joe has been writing, playing and performing his original rock music (and now jazz) for over two decades. He has played with Junior Ranger and more recently with Sarsaparilla on the east coast. Duncan Lee is a School of Rock alumni himself. 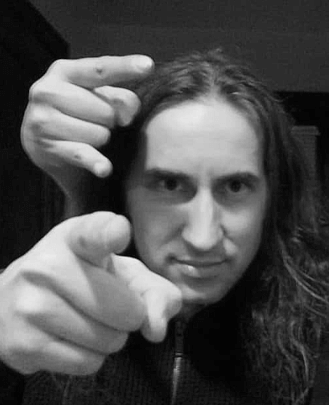 He has been playing guitar for about 10 years, but also teaches keyboard, bass, drums and vocals. 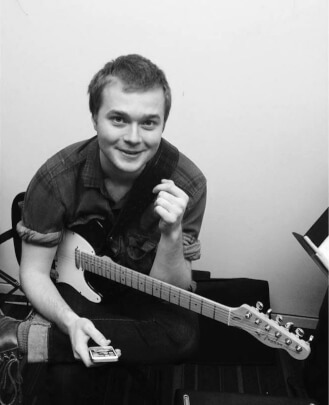 He graduated from Columbia College Chicago in 2018 with a BA in Classical Music Composition. He has played in bands such as The Boxers, Sun Cop, Lovejoy and his current project, Pooky. 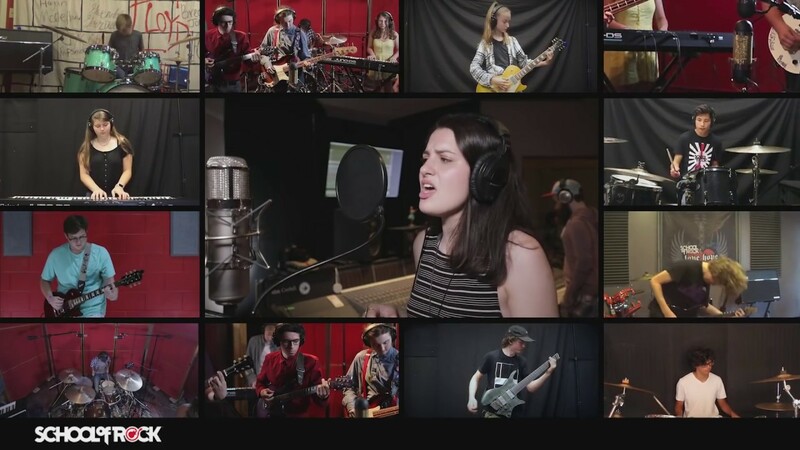 Duncan loves taking what he's learned in the college classroom and on stage to give his students a strong music foundation that fosters their creativity. Charlie is a recording artist, touring musician and lifelong lover of music. 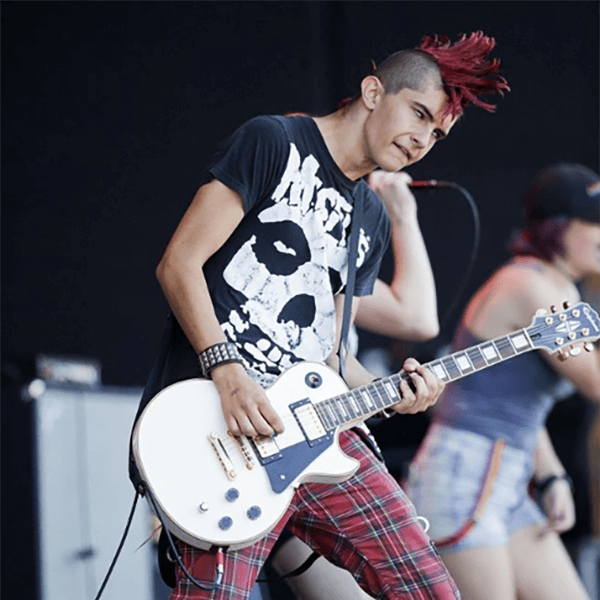 His journey with the guitar started when he first heard Green Day’s "American Idiot." The punk rock album called him to take up the guitar as a means to express what he was going through at the time. During his high school years he experimented with many types of music, working with rappers, producing electronic music, playing in metal bands, etc. Eventually he was approached with a record deal from Sharptone Records. 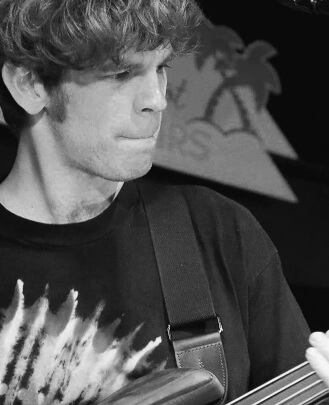 The following summer, he played at Whiskey A Go Go in Hollywood and Chain Reaction in Anaheim as he toured the country playing music he’d written. Since then, he’s been working on his band Rematch. Today he has returned to his roots, playing punk rock similar to his original influence, Green Day. Charlie is a living example that an instrument can take someone on the wildest, most fulfilling journey of their lives. Tyler's musical obsession began when he was three years old atop his father’s shoulders in the second row of a Garth Brooks concert when the country star handed him a drum stick. Fast forward seven years to the Island County Fair, where Foghat was headlining the Saturday night festivities. Somewhere between "Fool for the City" and "Slow Ride," Tyler's dad asked him which instrument he wanted to play. 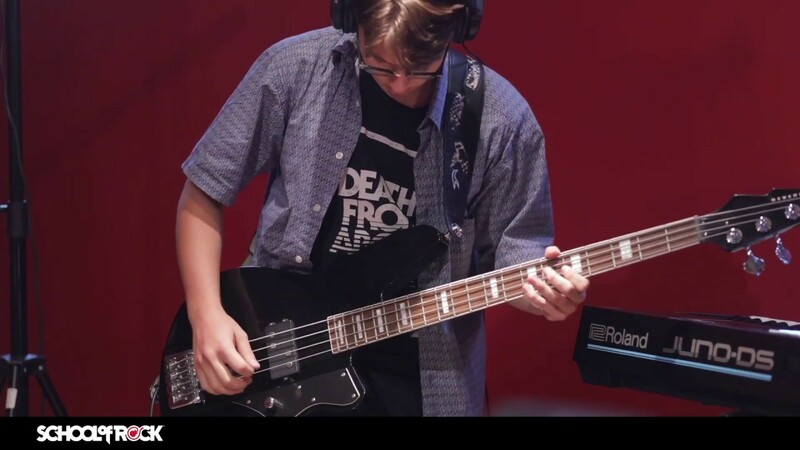 He chose the bass on looks alone, and the following summer Tyler's father presented him with a bass guitar and amp for his 11th birthday. Tyler soon joined the middle school jazz band and throughout high school competed in festivals around the country. After graduating, he moved to Boston to attend Berklee College of Music. There, Tyler focused on jazz theory, arranging techniques and world music studies. For the past decade he has played with a number of musical groups in Boston, playing in clubs and festivals around New England and more recently Chicago. 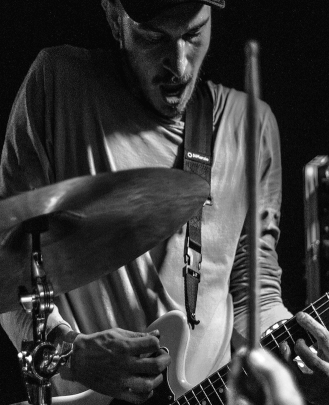 Tyler's biggest rock influences are The Velvet Underground, The Grateful Dead and The Jimi Hendrix Experience. Robert has been playing guitar for over 12 years and teaching for six years. 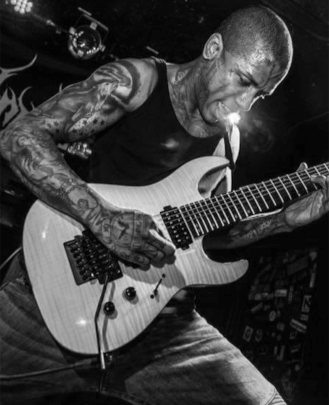 Currently he plays guitar for Slaughter to Prevail. His lesson plan is very simple. 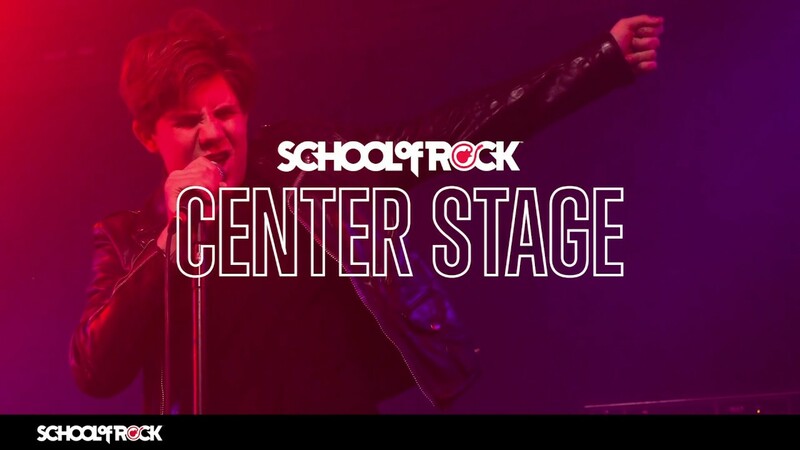 He teaches what the student wants to learn within the framework of the proven School of Rock system. It's his job to get young students where they want to go on the guitar and to discover techniques and genres they don't even know exist. 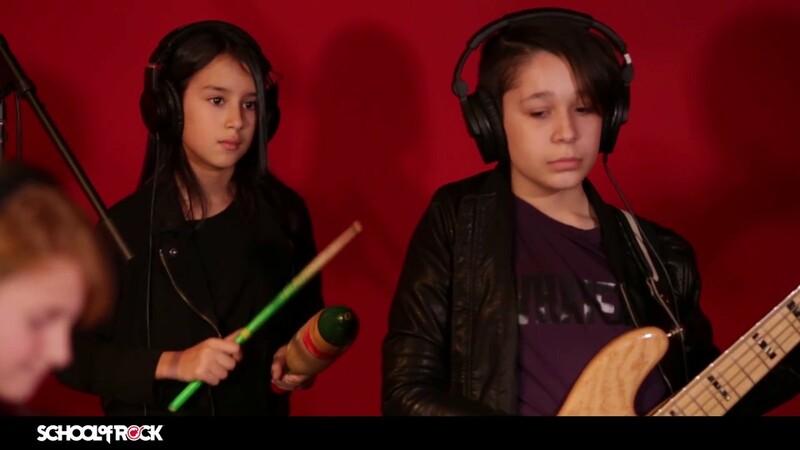 Using the school's materials and resources ensures students leave with a good handful of techniques and styles, making playing and practicing easier at home. Connor Zagrans first learned to love music as a toddler by playing a toy drum and endlessly watching videotapes of Elvis Presley. He worked on his drumming (and other instruments like bass and guitar) with several instructors throughout his childhood and through high school. 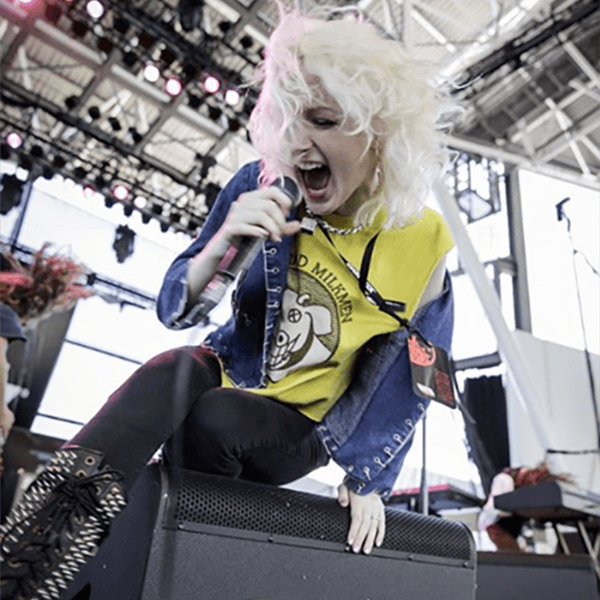 Since graduating from Northwestern in 2016, Connor has played with bands such as Danger Pony, Lovejoy and King Cardinal in addition to his JEFF Award-winning work in Chicago musical theater. 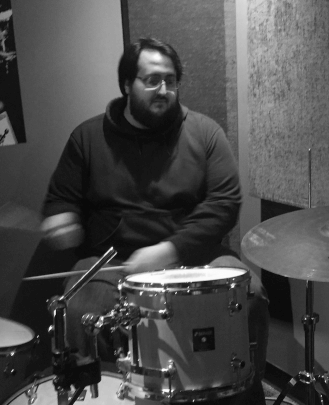 As a drums teacher, he believes in teaching students at School of Rock Chicago West to not only master their instruments, but to also experiment with them in order to develop their own unique style. 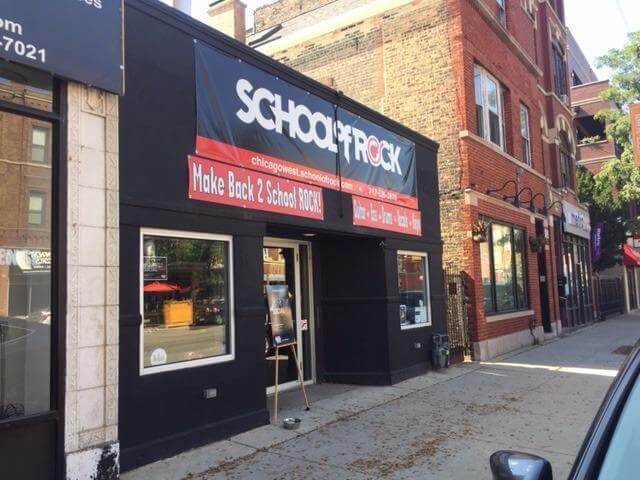 Ashleigh Gocong has been the General Manager of School of Rock Chicago West since our opening. She handles all aspects of daily operations, safety policy and community outreach. Ashleigh also teaches our Little Wing and Rookies classes regularly. 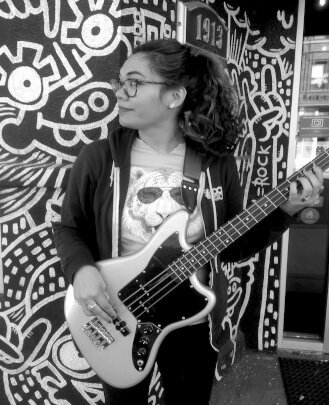 Prior to her General Manager work here, Ashleigh had over two years of experience as a Studio Director at School of Rock Chicago. 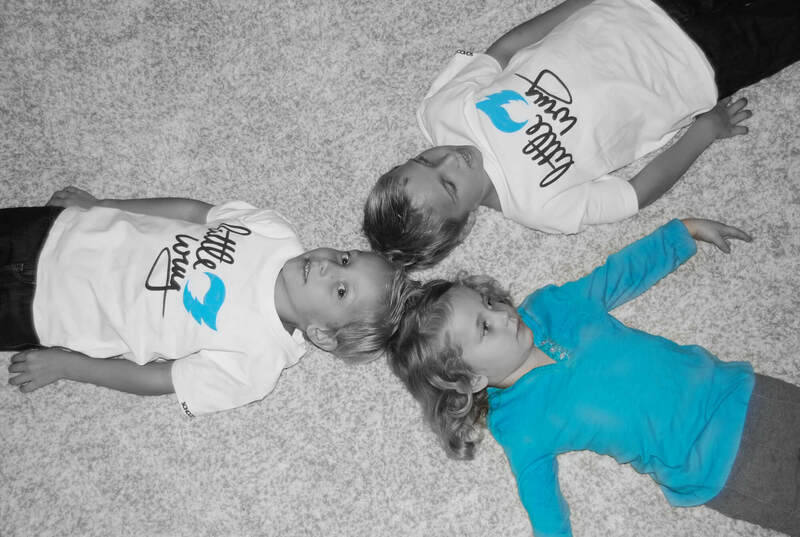 Join us for Little Wing group classes for kids ages 4-5! Call for our class schedule and additional info. (312) 526-3978. Located on 1913 W. Chicago Ave., we are a short drive from any location in the downtown area! 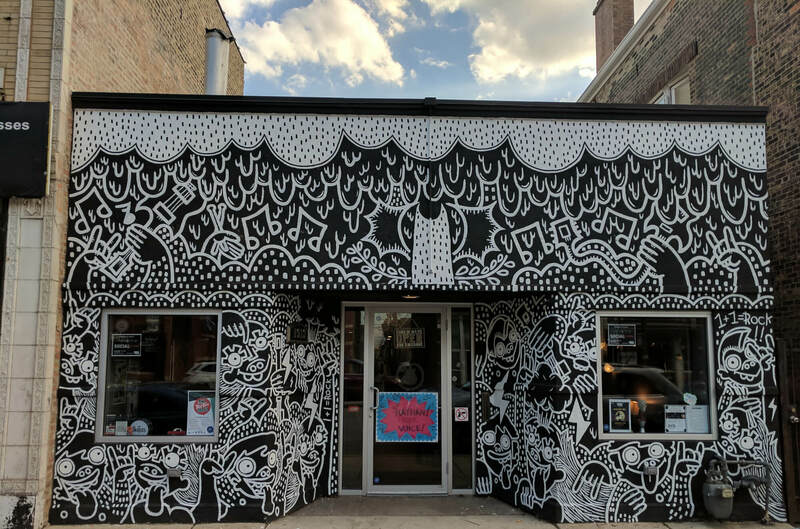 Check out our awesome new mural courtesy of artist Lauren Asta!